Tahir Hussain Faridi Qawwal left Canada as a teenager on a spiritual search that led him to qawwali, the soulful Sufi devotional music found across India and Pakistan. Today he is an internationally-recognised Sufi qawwali singer, writes Geoff Wood. I first met Tahir Hussain Faridi Qawwal in 2015; he called me during a flying visit to Australia. When I first went to Pakistan I was excited to meet these great big masters of qawwali that I'd been listening to on tapes in my teens. Stories of his life in Pakistan—learning the difficult art of qawwali devotional music and singing in Sufi shrines—had me hooked, and I made him promise to get back to me in person when he had the chance. A year later Qawwal made good his promise, dropping by The Rhythm Divine office with a new album ready for release, Tawheed. 'Tawheed is one of those original Sufi terms that means basically "divine union",' he said. A tall young man dressed in loose pants and shirt with a beard and dreadlocks, Qawwal is a striking presence. Born in Nova Scotia in Canada, Qawwal left as a teenager on a spiritual search that took him to India and Pakistan. After studying with the tabla maestro Harjeet Seyan Singh, Qawwal discovered the musical from known as qawwali, which he has pursued for almost 20 years. Did you know Rhythm Divine is also a podcast? Subscribe on iTunes, the ABC Radio app or your favouritepodcasting app and listen later. 'When I first went to Pakistan I was excited to meet these great big masters of qawwali that I'd been listening to on tapes in my teens,' he told me. 'When I first met all of them they were really so kind. It wasn't like meeting Michael Jackson or something that's hard to get through. For the following weeks and months Qawwal was housed by these great masters, where he was taught day and night, and attended qawwaliconcerts and shrines. In 2001 Qawwal and Aminah Chishty formed Fanna-Fi-Allah, a qawwali ensemble dedicated to spreading the message of Sufism in the west. 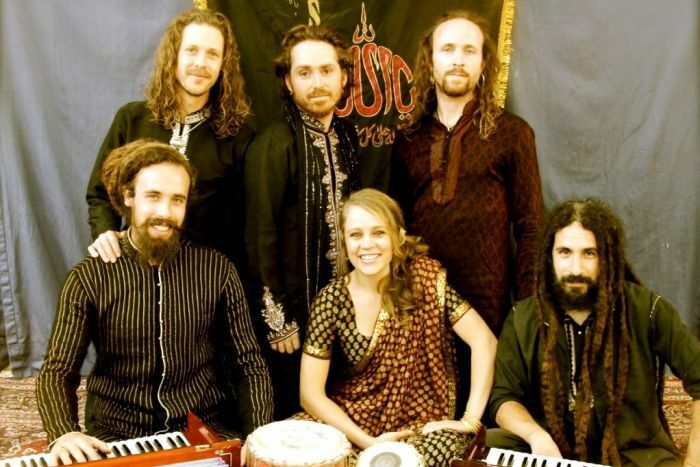 Since then the group has recorded several albums, and Qawwal has plans to release a documentary, Music of the Mystics, which was filmed in Pakistan and India. 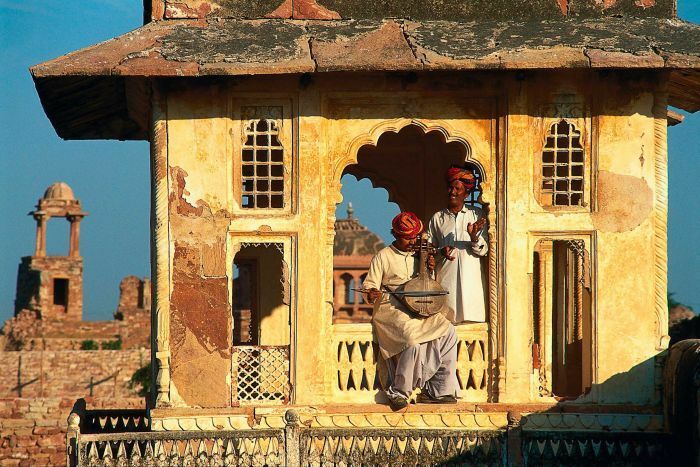 Qawwali is the Sufi devotional music of South Asia, the origins of which stretch back some 900 years. Sung in many languages, including Urdu, Farsi, Hindi and Punjabi, qawwali is a ritualised form of music, which aims is to induce a kind of divine ecstasy in the listener and performer. 'As a music form like jazz or classical it's very profound and engaging for people,' Qawwal said. Qawwali is characterised by the chanted repetition of God's name—a mesmerising form of ritual known as zikr. 'There are usually about eight to 12 vocalists. There's a front line of vocalists who are also the soloists who burst in with impulsive phrases of improvisation, and the backline are the chorus for the most part, who clap in time and hold the chorus lines. With sweeping melodies, intense high-pitched singing and rhythmic hand-clapping, qawwali is an intense and soulful music making heavy demands on the singer. 'The intensity of the music is carried by that higher pitch,' Qawwal explains. 'There's a certain power that comes from that, kind of similar to flamenco, for example. Combining religious poetry and praise-songs, qawwali songs are traditionally offered at the shrines or dargahs of Sufi masters and saints. Sufism is usually described in basic terms as the mystical expression of Islam. Qawwal, however, isn't comfortable with the term 'Sufism'. 'Ultimately there aren't any beliefs in Sufism, which makes it technically not an "ism". The west looks at things and puts them into categories—this is Hinduism, this is Sufism,' he says. 'The beautiful thing about Sufism is that it can't actually be put into a category in that same way. 'There's not a text that says these are all the rules, these are all the dogmas, this is what we believe in, this is what we're against and this is what we're for. Music is generally considered haram or forbidden by Islamic fundamentalists. Sufism, by contrast, places music right at the heart of religious devotion. Today Sufis and Sufi music are increasingly being seen as a counter-narrative to fundamentalist influence and ideas within Islam. As Qawwal points out, Sufism seeks to break down barriers. A profound look into the spiritual tradition of Sufi Qawwali music in Pakistan.